Blackfinn Ameripub - Born to be a whole new generation of the classic American pub, Blackfinn is a lively restaurant and bar that offers the affordable, craveable American food that guests want to eat. Black Olive Sports Bar & Grill - Located at The National Conference Center in Leesburg, the Black Olive is a unique gathering place focusing on fresh ingredients and seasonal cooking producing a handcrafted menu. 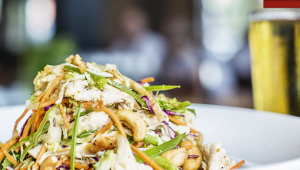 Bonefish Grill - Your local seafood destination in Ashburn is Bonefish Grill. Outside of their unforgettable food experience, Bonefish offers the freshest cocktails and personalized service. Burton&apos;s Grill & Bar - There was a simple goal in mind during the conception of Burton&apos;s Grill & Bar - delight every guest. Consistency, integrity and passion guide their delicious and unique menu choices. Chuy&apos;s - Tex what? While Chuy&apos;s refers to their food as "tex-mex", their menu is made up of a combination flavors with recipes and ingredients from across New Mexico, the Mexican Border and beyond. 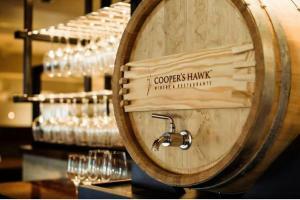 Cooper&apos;s Hawk Winery & Restaurant - The Cooper&apos;s Hawk concept includes four distinct components: an upscale casual dining restaurant, full-service bar, private barrel-aging room and a winery inspired tasting room. 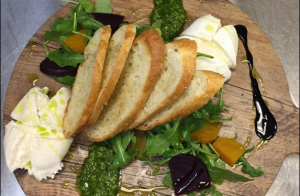 Copperwood Tavern - Copperwood Tavern is a farm-to-table restaurant representing the freshest products available in Loudoun. Find the true flavor of their delicious local meals while celebration Restaurant Week. Coton & Rye - Located at Lansdowne Resort, Coton & Rye is celebration of Virginia&apos;s culinary history with signature dishes from the past such as fried chicken or their famous pot pie featuring local ingredients. Dogwood Bistro - Enjoy the ambiance of Dogwood Bistro at the Doubletree in Loudoun where business blends with pleasure. Try their satisfying New Orleans Jambalaya Pasta or signature Beef Short Ribs. Eggspectation - Committed to innovation and achievement, Eggspectation is inspired to be extraordinary. They strive to give you the best possible food quality and service. Famous Toastery - Never compromising fresh ingredients or amazing service, Famous Toastery dedicates to providing their guest with meals featuring local ingredients. Firebirds Wood Fired Grill - Over the years, Firebirds has become the lunch spot that everyone agrees on and a dinner invitation that no one passes up. Bold flavor, authentic hospitality and real value is what Firebirds is made of. Ford&apos;s Fish Shack - Featuring home-made and seasonal specials, Ford&apos;s Fish Shack became a local favorite for their delicious lobster rolls. Make a reservation for this week&apos;s specials. Hail & Hog Kitchen and Tap - This location is a first-class venue, located in the heart of the One Loudoun, that combines the iconic Washington Redskins brand with great food, drinks, service and entertainment. Harriman&apos;s Virginia Piedmont Grill - Inspired and staying true to the essence of the Virginia Piedmont, Harrimans menu highlights fresh, seasonal ingredients, captivating farm to table elements; literally, with their very own Chef&apos;s garden located just outside the restaurant. Okada - Okada is the Japanese and Sushi Bar in Loudoun. They offer fresh sushi, hibachi style entrees and authentic Japanese culinary cuisines. 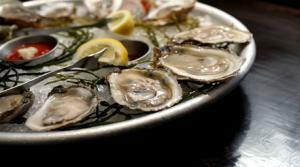 King Street Oyster Bar - This newest addition to Downtown Leesburg&apos;s restaurant scene has quickly become a fan favorite. If you love oysters and shrimp, it is available at this delicious downtown restaurant. O&apos;Malley&apos;s Pub - Featuring sports programming, half-pound burgers and the best wings in town, O&apos;Malley&apos;s Pub in Loudoun is the perfect place to spend or a lunch or happy hour with the coworkers. Suvai Indian Restaurant - The best Indian restaurant in Loudoun is in the heart of Ashburn and has been offering a unique dining experience since opening their doors. The Zone - The Zone&apos;s Shotz Sports Bar features a full service bar, including twelve rotating beers on tap, a craft can menu, a wide variety of local wines and specialty cocktails. Travinia Italian Kitchen & Wine Bar - Travinia Italian Kitchen and Chef is compelled by a passion for the flavors and freshness of regional ingredients where guests look forward to a creative and varied menu of contemporary Modern American Italian choices. Yummy Pig BBQ - A full service restaurant offering entrees and sandwiches with a variety of smoked bbq meats including pork, chicken, brisket, brats, pork ribs, braised rib tips, and chicken apple sausage. Zoup - Zoup offers hundreds of award-winning soups with 12 always-rotating daily varieties including soups that are low-fat, vegetarian, dairy-free, spicy and made with gluten-free ingredients.